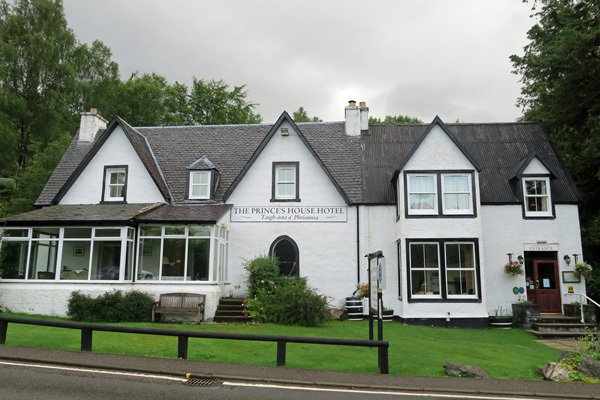 The restaurant at The Princes House Hotel offers a seasonal fixed four course dinner menu and has been awarded two AA Rosettes in recognition of the quality of food and commitment to using local produce. The hotel also offers meals in the historic Stage House Bistro & Bar serving simply grilled meat, fish and vegetarian dishes - an ideal place for more relaxed dining, or for just a drink. Booking is not required for bar meals though you are advised to contact the hotel if there are four or more in your group. As the restuarant menu is written according to the numbers of diners, reservations for the restaurant must be made in advance.